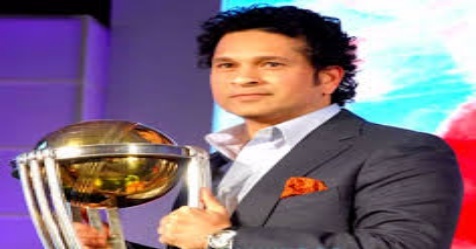 Cricket legend Sachin Tendulkar has put together a small book of biographies of 21 Indian sportspersons. He hopes they will be a part of school textbooks to build a stronger sporting culture. Tendulkar's booklet is called Unforgettable Sporting Heroes and Legends of India and includes hockey legends Dhyan Chand and Leslie Claudius, wrestler Anita Sheoran, boxer Mary Kom, and shuttler Prakash Padukone among others. The ex-cricketer handed the copies to Vice President Venkaiah Naidu and Human Resources Development Minister Prakash Javedekar after his first address as a Member of Parliament in the Rajya Sabha. Recently Tendulkar took to social media to urge India to transform into a sport-playing nation from a from a sport-loving nation. India's first amputee mountaineet Arunima Sinha is also in the booklet, along with PT Usha, Bishan Singh Bedi, EAS Prasanna, BS Chandrashekhar, Anju Bobby George, Anjali Bhagawat, Rajyavardhan Rathore, to name a few.